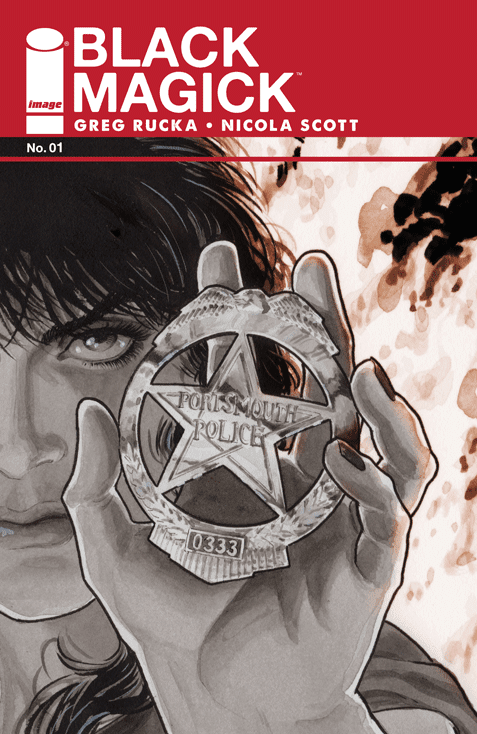 'Black Magick' #1 is the nice, cordial coffee date that was pleasant but didn't lead to a night cap at their place and the walk of shame in the morning. We're introduced to Detective Rowan Black who's also a witch and during a hostage situation her two worlds collide and the mystery begins. The art is fantastic, but the story reads more like an outline than something you can sink your teeth into. There's no denying Greg Rucka's talent, the award-winning writer is one of the best in the business. 'Lazarus' continues to be a compelling post-apocalyptic read with a complex female lead. The jury is out on his latest creation in Det. Black. We don't learn very much about her except for her participation in a Wiccan circle in the forest during some kind of ritual. She's quickly summoned to the hostage situation at a burger place. The hostage taker demands that she enter alone and disrobe to expose any wires. It's a tense sequence that ends with some surprising consequences. Rucka can tell small stories with nuance and eloquence but still seem fleeting. 'Stumptown' is an example of a small story with great characters but with seemingly low or inconsequential stakes. 'Black Magick' isn't bad it just rings hollow as its bookends an interesting beginning and surprising end with a middle that lacks enough substance. Nikola Scott's first foray into creator-owned comics impresses as she has for years while at DC Comics. The work here is mostly in black and white with splashes of color in a couple of significant spots. It's a beautiful book with a lot of detail and precise character designs. The layouts are great but the camera work in each panel invigorates a mostly slow burn of a story. 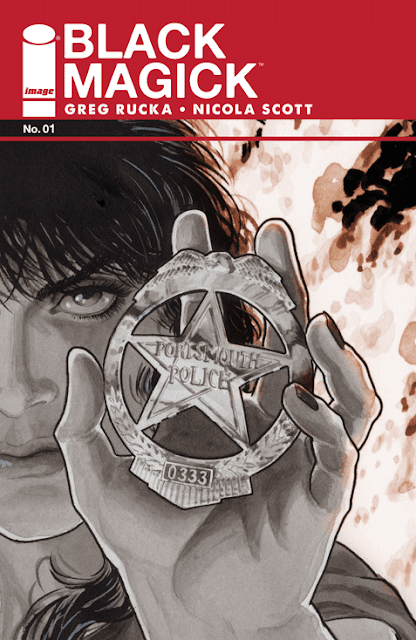 'Black Magick' is the kind of title that works best, at least after one issue, when collected in a trade. It's hard to justify shelling out $4 a month for a sliver of a story. That could be said of most books, but I came away from 'Black Magick' hungry, starving for more, as though I had carrot sticks for lunch instead of a juicy burger. I'm not worried the series won't be good, I'm concerned how much it'll cost me to get to the meat on this flimsy bone.